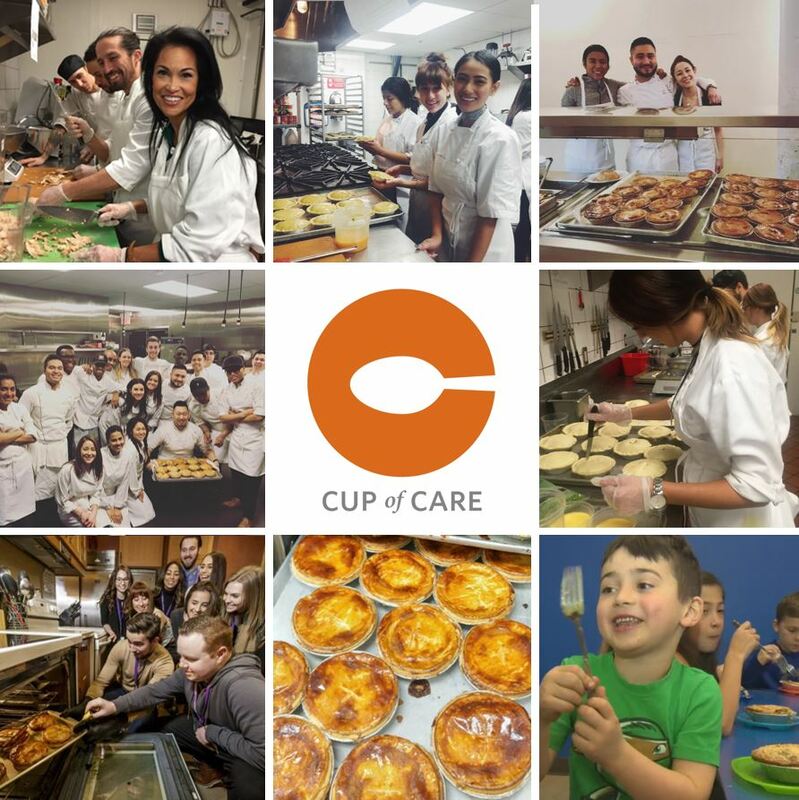 Giving back to the communities we serve is not a mandated practice, but is rather something extra that restaurants, and businesses alike, can do to improve their local and national communities. This is also known as— social responsibility. What restaurant wouldn’t want that? According to the National Restaurant Association, over 90% of restaurants in the U.S. make some form of charitable contribution each year. What more can be done, you ask? It can be as simple as what the Taproom on 19th does in Philadelphia. The gastropub in partnership with its neighborhood association, gives out free beer to anyone who donates school supplies and winter coats. It can involve a more hands-on approach, like what Joey Restaurants is doing with their Cup of Care program, where their front of house, back of house, and head office leaders volunteer their time to wash, peel, and chop over vegetables for beef and barley soup "To date, JOEY has served 100,000 hot meals across Canada, Seattle and Los Angeles partnering with local shelters and organizations" chosen by their employees in each of their communities. Or, it can involve improving and educating your own team, like Chick-fil-A has done since 1973 with their scholarship program. This brand has been helping restaurant team members achieve their dreams of higher education. 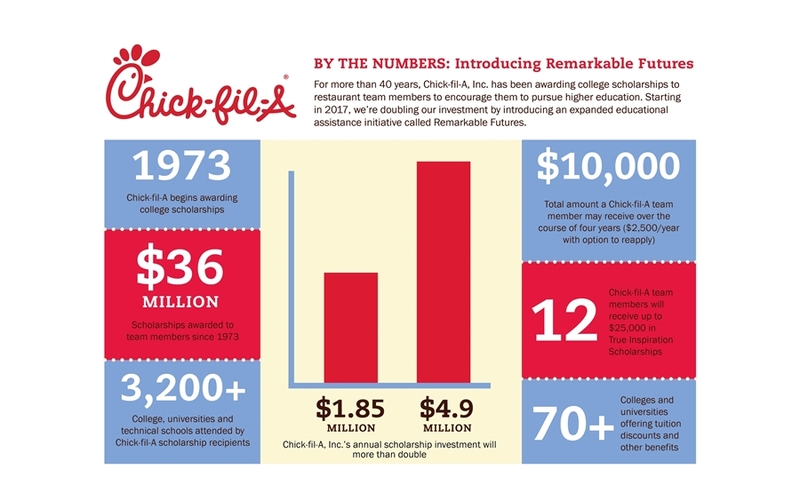 Since then, nearly 36,000 team members have received scholarships from the company, “bringing the total amount to nearly $36 million applied at more than 3,000 schools nationwide” as stated in a 2016 blog post on Chick-fil-A’s The Chicken Wire. Below are a few items to consider when either starting or revamping your own social responsibility program to deliver a more memorable impact! Part of your vision, should be improving your community. How will you turn your vision into a promise? Your program should be highlighted in your mission statement, so it can be shared with your team and community. Take it a step further and set up SMART goals for your program to hold a level of accountability. How much time and/or financial resources do you want to work towards and give back each quarter or year? Hopefully you’ve taken the time to define your importance, worth and usefulness within your restaurants statements. If you’ve hired and built your team based on both values and experience, your team should have a common goal of wanting to give back. Get them involved in your social program and have them open up about causes they really care about, as well. Is there a way your restaurant can build on sustainability? What energy efficient measures can you put in place at your venue(s) and how can you source more ethical food and beverage products to reduce your environmental footprint? You can also help the environment out by donating used equipment to nonprofits when it’s time to upgrade (instead of disposing them at your local landfill). What kind of impact do you want your brand to leave behind? Restaurants pose an easy and enormous opportunity to sponsor local events or teams, or by donating a percentage of revenues to a local benefit event or organization. With a large seating area, a restaurant can also host a fundraising day or night at the restaurant itself. Restaurateurs can also look to support local military and first responders with dining discounts or donations to their equally important charity programs. Your restaurant could also take the approach to improve the long-term wellbeing of your team, through a scholarship or further-education program. This could be additional culinary, management, or mixology education scholarships for example, that will improve your operations, both now and in the future. Speaking of team building, giving back often leads to a more positive work environment and increase in staff retention, plus an increase in creativity and personal growth while promoting individual philanthropy. When disaster strikes, restaurants are often in a position to lend a helping hand, either locally, nationally, or globally. Whether it is a tornado, earthquake, hurricane, or other life altering event, restaurants can become hubs for financial donations in addition to ‘match funding’ programs. This is an unfortunate aspect of nearly every community. Restaurants are given the opportunity to help the less fortunate through a variety of methods, including volunteer participation, hosting a neighborhood cookout, or by hosting food drives benefiting the local food bank, just to name a few. As much as a restaurant brands should be taking part in social responsibility for the sole betterment of their community, you should want your program to also improve your image, increase media coverage, develop engagement, and attract investors. Make sure your program is visible on your website, within the four walls of your establishment, and throughout your social media channels to maximize its reach and potential. Make it a win-win for everyone!